"Obstetrics and Gynaecology at a Glance" provides a concise and accessible introduction and revision aid for medical students undertaking their obstetrics and gynaecology attachment. Following the familiar easy-to-use at a Glance format, each topic is presented as a double-page spread with key facts accompanied by clear illustrations and diagrams encapsulating all that students need to know. 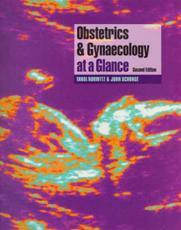 This new edition of "Obstetrics and Gynaecology at a Glance": contains a second colour throughout to enhance the visual appeal, making the subject even easier to understand; has been revised to incorporate international approaches to management and epidemiology; contains new chapters on: breast disease, history and physical examination; features brand new and updated artwork in a cohesive and clear structure. "Obstetrics and Gynaecology at a Glance" will appeal to medical students, junior doctors on the Foundation Program and midwives. Pre-publication reviews: "The text with accompanying visual aids is an excellent quick referral guide to nearly everything undergraduate students will meet during Obstetrics and Gynaecology. It has found the right level in terms of undergraduate content and has struck the right balance between full curricular coverage and avoiding unnecessary detail. I would not hesitate to recommend it to my students." - Senior Lecturer, St George's Hospital Medical School. Reviews of the last edition: "Absolutely sensational; this is a fabulous textbook." - Cambridge Medicine.